Edublog Awards - Voting is NOW OPEN! 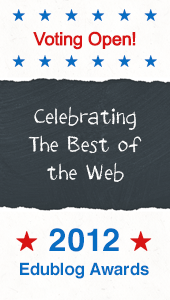 I recently posted my nominations for the 2012 Edublog Awards and after tons of nominations, the voting is now open. Voting for these can be a long process, especially if you don't know about the blogs, sites, and people being nominated. 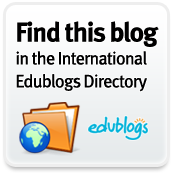 However, the Edublog Awards themselves provide a wonderful opportunity to discover and connect with some great educators who are sharing some valuable resources. These people who have been nominated use their valuable time to provide and share with you. The least we can do as peers is learn about them and then make an educated vote based on what we have gathered. The best way to see all that were nominated and be able to click on each is to view the Google Doc they have set up that provides links and results from the nomination process. 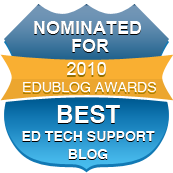 If you only want to be able to visit the finalists, you can do that on the Edublog Awards main page under the 2012 Categories Links. Voting is open till the end of the day on Sunday, December 9th, so you have about just over 6 days to vote from the time of this posting.